Indie RPG darling, To The Moon, walked away from the video game awards season with a handful of narrative awards and a jar full of tears from gamers around the world. Modeled after a 16-bit RPG, the talented developers at Freebird Games were able to show that an emotional impact does not have to come from elaborate character models or millions of dollars pushed into a project. Of course, we who grew up playing Final Fantasy VI, Chrono Trigger, and Suikoden II already knew the power of using sprites to tell a story, but it still remains a nice reminder of those wonderful days. Freebird Games now has their follow-up underway, and keeping in line with their previous hit, it keeps much of the same aesthetic. 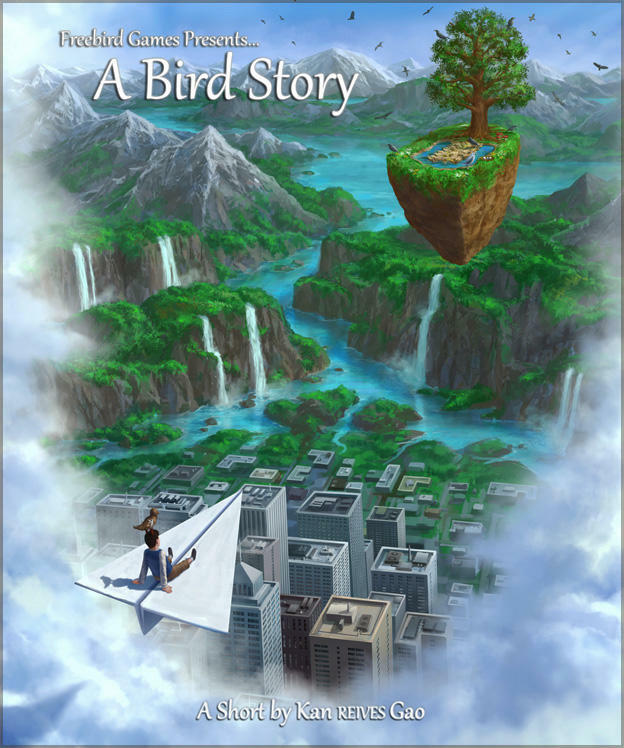 A Bird Story takes place in the same universe, but the plot takes place chronologically before To The Moon. Protagonists Dr. Watts and Dr. Rosalene return to their roles of dream manipulators, and they rework the childhood of a character met earlier in To The Moon's scenario. Once again, they promise an emotionally gripping storyline with huge climaxes, only this time around, they plan to do so without dialogue. Much of A Bird's Story will play out silently. Creator Kan Gao thanks his fans for their support, not overly certain of how they will react to a sequel. "I know that for some who have played To the Moon, there might be certain expectations as to how the 'next game' should be, and to be honest, I don't really know how it'll be in that regard – meeting certain quota or matching aspects of another game aren't really things that I want to make them around. However, what I can promise is that I'll always be making what truly means something to me — and hopefully, to you too. I hope everyone could take them as they come, and enjoy them for their own merits. Thanks for your kind support and spreading the word, folks; I wouldn't be able to do this without you all. I'm grateful for it." If he is able to come even close to the level of craftsmanship he reached in To The Moon, then sign me up. The guy is a storytelling monster, and I'll be there to purchase day one.